This item is not available for purchase online. Please call (865) 966-5941 to order. 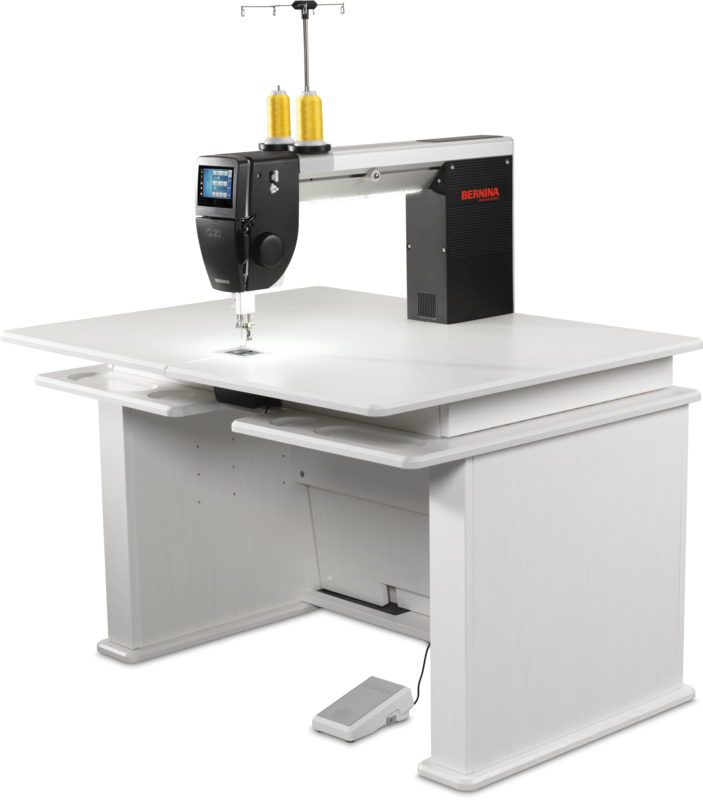 The BERNINA Q20 is a Sit- Down Quilting Machine. It has the BERNINA Stitch Regulator built in. It comes with the table pictured. We do not stock this machine but normally it is in stock with BERNINA of America and arrives in just a few days. We do have one on display that we can show you all its features and let you try it!